Home › Title insurance › What is an Estoppel Letter and why does it cost so much? What is an Estoppel Letter and why does it cost so much? What is an Estoppel Letter and why does it cost so much? This is a question Title Closers have to answer quite often when closing a real estate transaction. An estoppel letter is a legal document provided by the seller’s Homeowner’s or Condominium Owner’s Association, outlining the current owner’s financial standing, past due balances, current fees due and lists all future special assessments due. Each letter has a “good through” date. The management company or association normally charges a fee to prepare the estoppel letter and by law they have 15 business days to provide the letter. The fees can range from zero to $500.00. Many will charge an additional rush fee if the letter is needed before the 15 days, as well as an update fee if the closing is delayed beyond the “good through” date. The process is further complicated if the homeowner is in collection. A payoff letter must be obtained from the HOA’s attorney and they have 15 business days to provide the payoff and will charge an additional fee. Unlike most closing fees, which are paid at the time of closing, management companies require payment upfront. When this trend began in South Florida, the amounts were low and as a courtesy title companies would front the fees and collect them at closing. Unfortunately, there is no law governing the amount companies can charge and the fees quickly escalated, leaving title companies with major losses with each cancelled transaction. The title industry was successful in getting a law passed, forcing the management company to refund the fees charged if the transaction was cancelled. However, they have a small window in which to do so and it is very labor intensive. 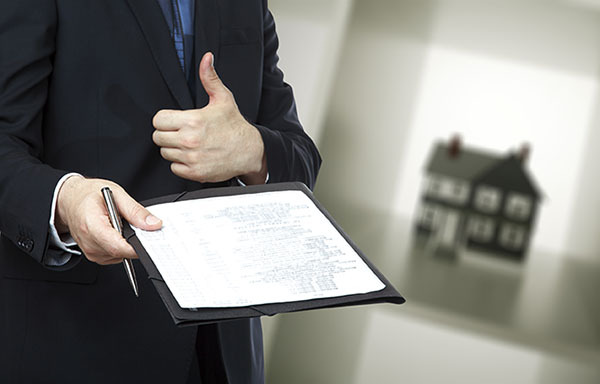 Additionally, the management company can charge the homeowner directly for the services rendered, if they refund the fee to the title company. In an effort to reduce losses and increase the probability of recouping fees on cancelled files, many title companies have turned to third party vendors who specialize in these areas. Some title companies now require the seller to pay these fees upfront, an option most realtors will reject. Unfortunately, hiring a third party vendor to front the fees, order the estoppel letter and follow up on refunds, creates an additional fee to the seller. How can sellers reduce the fees they pay for estoppel letters, which in many cases informs the title company they pay on time and owe nothing? Sellers can contact the title company and offer to pay the fees upfront and this should eliminate the need for a third party vendor to be hired, saving the additional fee. They should also bring this issue up at their next Homeowner’s Association meeting and make sure they know in advance what the management company charges. As members of an association, they can control the fees charged to the members. I understand that there is pending legislation relating to estoppel fees charged by HOAs. In my case, I was current with all my HOA fees and Miami Management charged $300 to send a copy of my account ledger over to the title company in connection with the sale of my home. For homeowners who are current with their accounts, there should be a cap of no more than $100 for this service. Please do not let the management companies get away with overcharging innocent homeowners merely because they are trying to sell their homes. I feel the same way. I can actually print off all my fees, etc. from the website but this isn’t good enough it seems so once again the HOA gains more money off the back of the sellers. There should be a cap of $100 but the law still doesn’t help those of us held ransom by HOAs. Some are spiteful too not complying with the 15 days. The whole realtor law situation is about fleecing money legally from homeowners ….there are very few winners when selling a home in FL either with so many fees having to be paid by the seller and the 6% agents fee. In UK it ranges from 1-2% for the same work.